When Amarillo College theater instructor Monty Downs was still just AC student Monty Downs, he starred in a production of “Pippin,” his first-ever musical. “It really meant a lot to me, was an important thing in my development as an actor, so I try to pass that along to the students,” Downs said. That memory is one reason Downs said he and the AC theater team try to schedule one musical per season. 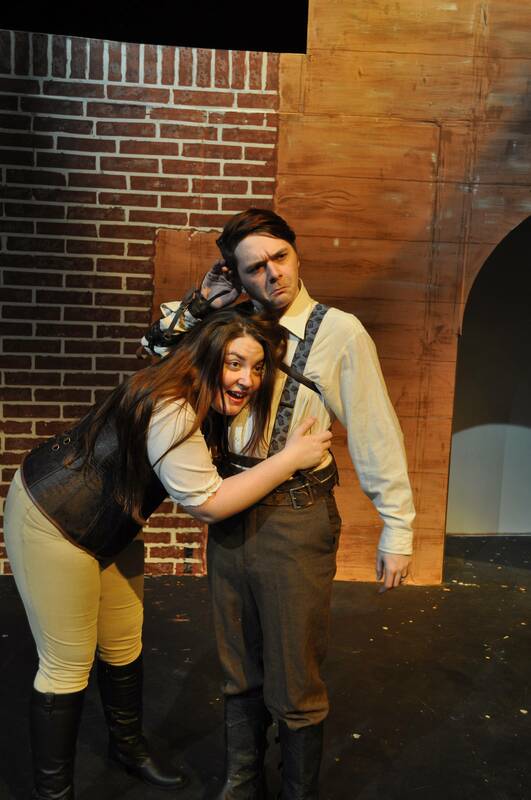 This year, it’s “Urinetown,” which opens Thursday in the AC Experimental Theatre on the Washington Street campus. The musical – written by Greg Kotis and Mark Hollman – will be staged at 7:30 p.m. Thursday through Saturday and 3 p.m. Saturday and Sunday. “Urinetown” is a satirical musical that, though it debuted in 2001, is still remarkably timely. In the musical, young Bobby Strong (played here by Connor Downs) fights against corporate control of the water supply – specifically, a system that forces residents to pay for the “privilege to pee,” according to one of the songs. Because of a massive, 20-year drought, a water shortage has crippled society and made private toilets unthinkable. “I saw it years ago … and it was so bizarre and different,” Downs said. A personal aside: I can still vividly remember watching the Broadway cast perform “Run, Freedom, Run!” on the Tony Awards, with a fourth-wall-breaking introduction riffing on the awful, but awfully appropriate, title of the show (check out the attached video). The song, an energetic gospel pastiche, is great, silly fun, but what really sold it for me was the unexplained presence of an ensemble member, cheerfully bouncing along with her castmates despite being bound and gagged. I later learned that she’s the villain’s daughter and the leading man’s love interest, but I was already sold. As soon as the awards broadcast was over, I raced over to Hastings to buy a copy of the cast recording. It, unsurprisingly, was not in stock, and the look I got from the clerk when I spelled out the show’s title was priceless. Tickets for the TheatreAC production are $8 for adults and $6 for students, seniors and AC employees. For information, call 806-371-5359 or visit www.theatreac.org.